The South Korean province of South Chungcheong has been declared the country’s hub for the production of fuel cell vehicle parts. The province has successfully passed a government feasibility assessment, which has established it as a major production entity that will provide strong support for clean vehicles in the future. New facilities will be built to accommodate the demand for components needed to build fuel cell vehicles. These facilities are expected to provide the province with new economic opportunities. Fuel cell vehicles are becoming very popular, especially in South Korea, where major automaker Hyundai has launched its first car equipped with a hydrogen fuel cell. These vehicles are often referred to as “running air purifiers.” This is because of the fact that they only produce oxygen and water vapor as emissions while operating. Fuel cell vehicles are powered by hydrogen and, like all vehicles, are comprised of parts manufactured throughout the world. South Korea has established a strong foothold in the supply chain for these vehicles. 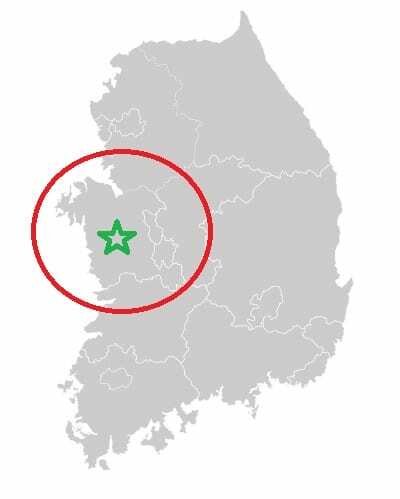 The South Korean government will be investing in the development of new production facilities in South Chungcheong. Some $65 million in additional funding will also be coming to the province to help in this endeavor. The province already has a longstanding history with the auto industry and is home to many auto part manufacturers. Due to its close proximity to the sea, the province can also export the products it produces more efficiently, especially to China, one of South Korea’s largest customers. The growing demand for fuel cell vehicles will ensure that South Korea plays a major role in the expanding clean transportation market. Fuel cell vehicles have won praise because of their efficient nature, but they are still in limited supply. Automakers are eager to launch these vehicles and ensure that they are more accessible, but concerns regarding infrastructure have sidelined these plans. Without access to fueling stations, fuel cell vehicles have limited appeal, which has slowed their adoption considerably.